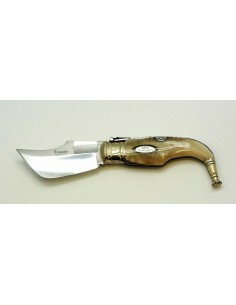 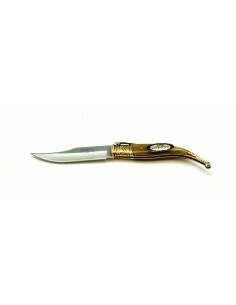 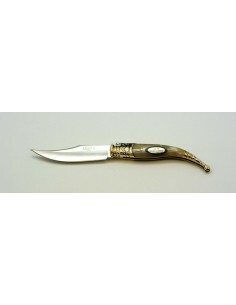 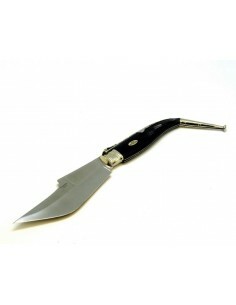 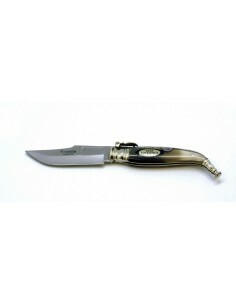 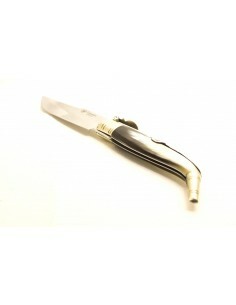 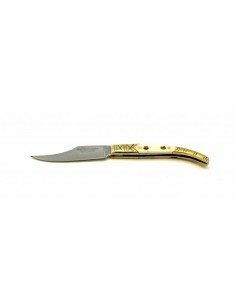 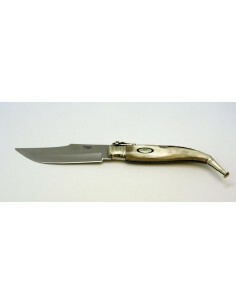 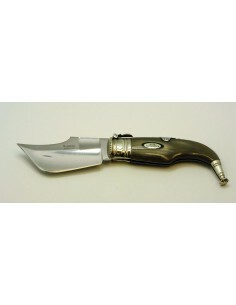 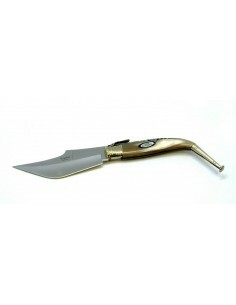 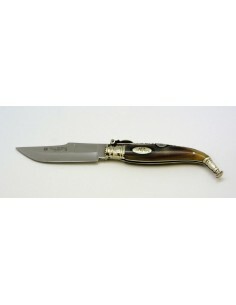 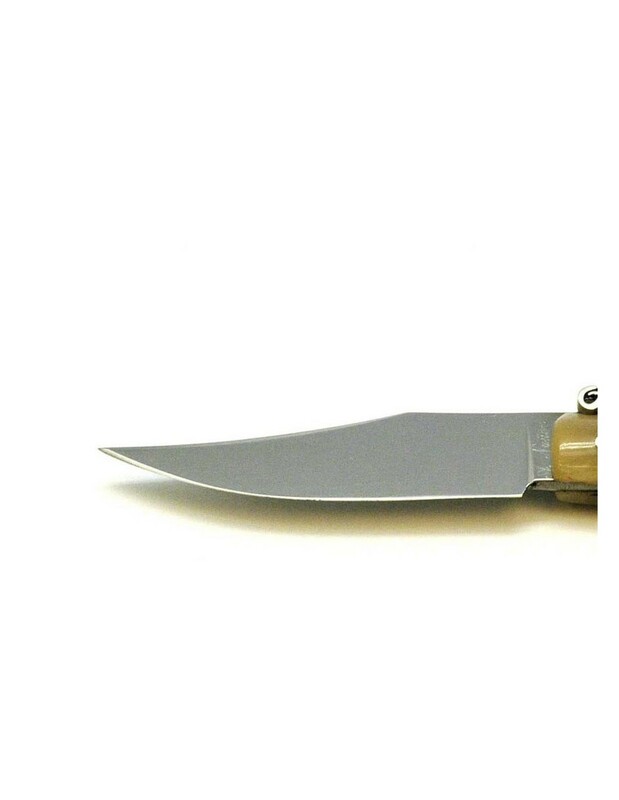 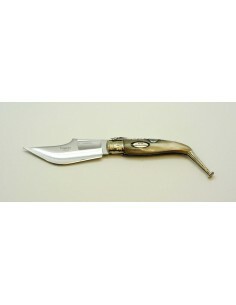 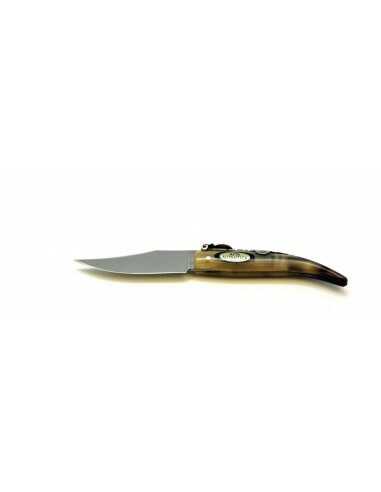 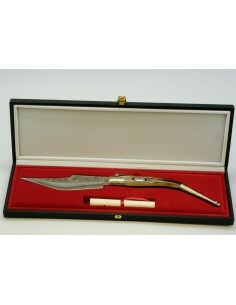 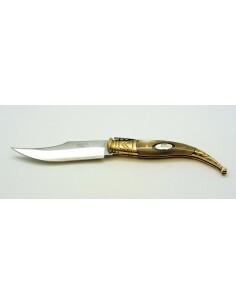 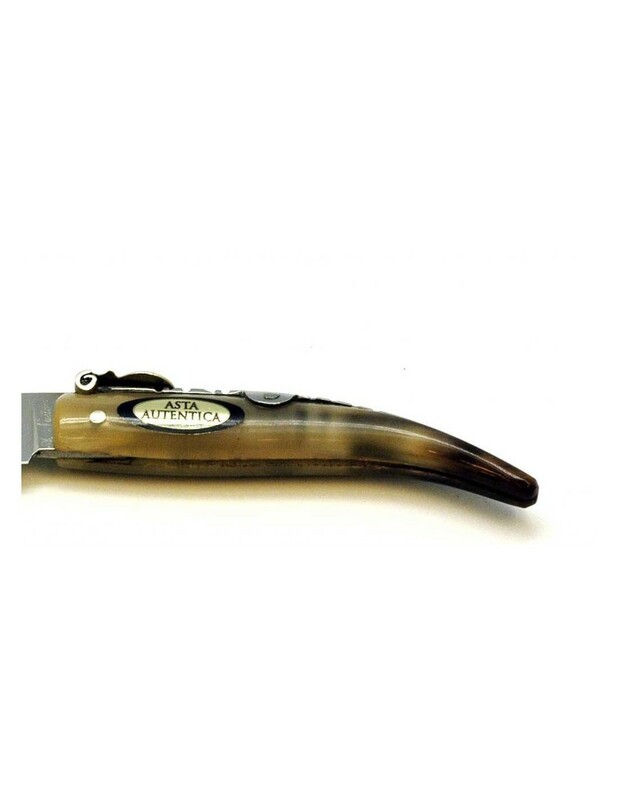 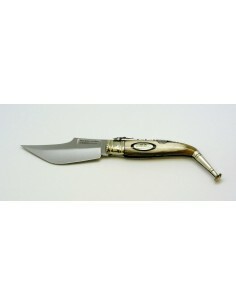 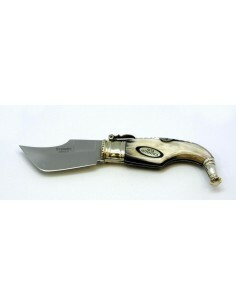 Handcrafted typical Albacete folding knife, "Punta inglesa" type. 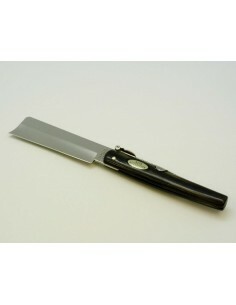 2mm blade thickness. 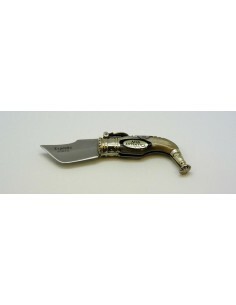 Teja spring decorated with incisions by metal file. 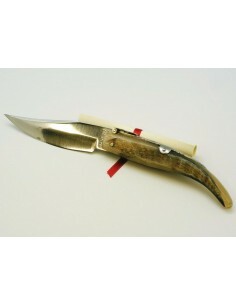 Surrounded pull made of alpaca. 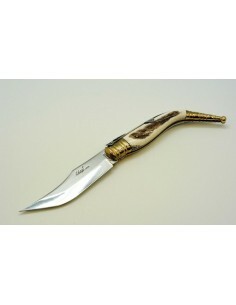 Zebu horn grip.